Intermittent leaks can be annoying, but they can also prove to be costly in the long run if ignored. Dripping faucets not only cause distractions in your home or office, but they also can increase your water bill. Broken valves, deteriorating washers, and mineral buildups that are interfering with valves and washers can cause dripping faucets. Downey Plumbing can diagnose and repair the problem quickly and cost effectively before it causes additional damage. While it may be tempting to ignore a minor leak or drip, doing so can cause damage to sinks, tubs, and even to floors and walls if left alone. 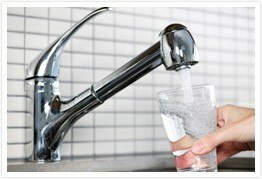 Call Downey Plumbing for your faucet repairs in Downey, Pico Rivera, Long Beach, Paramount, Commerce, South Gate, Lakewood and Bellflower as well as other areas of southern California. We can help save you hundreds of dollars on your water bills and other potentially costly repairs.